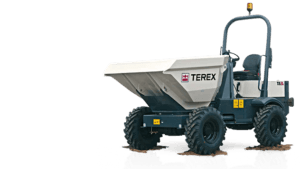 2 Ton Dumpers are great for moving materials or waste around a site and are just the right size to be transported about on a 3.5 Ton plant trailer. 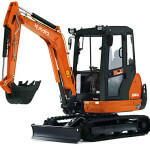 All of our 2 ton dumpers come with fold down roll over frames, amber beacons and green seat belt beacons that indicate that the seat belt is being worn. Being transported on a 3.5 Ton Plant Trailer. 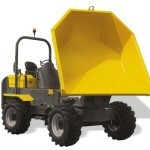 3 Ton Dumpers are great for moving materials or waste around a site, all of our dumpers are swivel models so are able to discharge to the left, right or straight on. 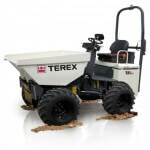 All of our 3 ton dumpers come with fold down roll over frames and amber beacons. And all now come with green beacons that indicate that the seatbelt is being worn.